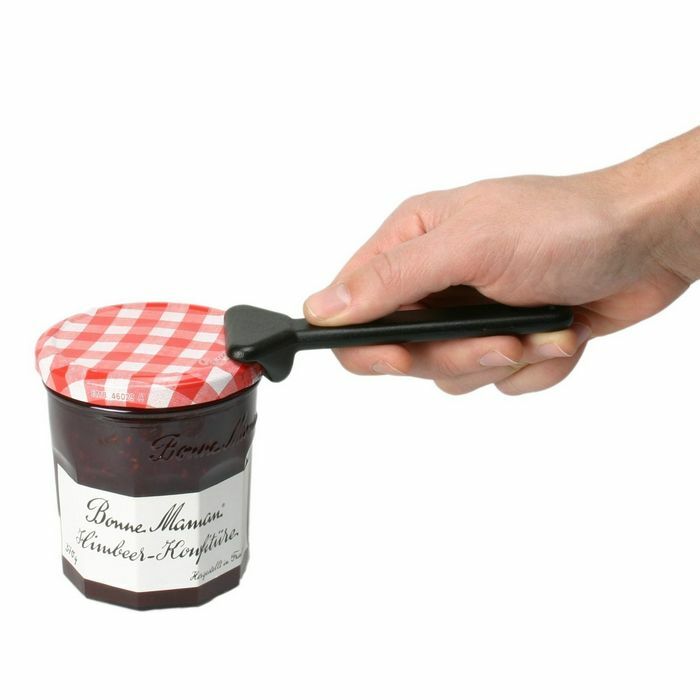 The World's Easiest Jar Opener - The Original! So handy that anyone can use it! The JarKey is made of aluminium in an elegant design. JarKey has no sharp edges or points, no moveable parts, and is extremely durable. Also ideal as a genuine bottle opener.